Due to the weather and bad road conditions, we will not be running buses tonight. Stay tuned for the decision about having prayer meeting itself. Thanks. Next Sunday is Whole Heart Sunday! Bro. 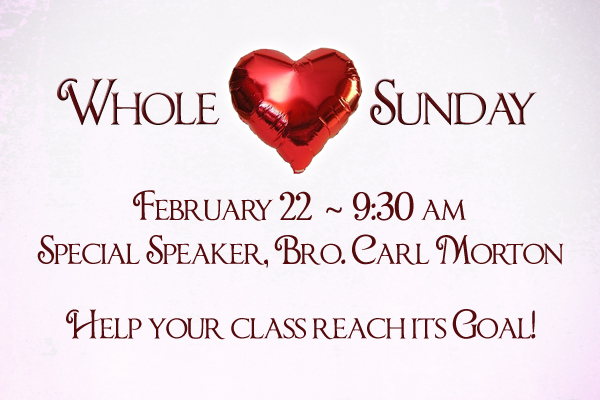 Carl Morton will be our special guest speaker. Each class that reaches its goal will get a nice heart-shaped balloon to display. Help your class and be a part of this special day! 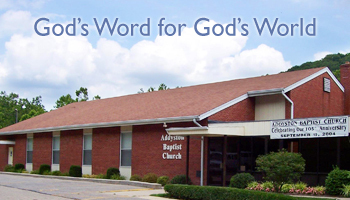 We at Addyston Baptist Church have a vision to demonstrate God’s law and and God’s love to our community and beyond. True happiness and fulfillment can only be found in a life saved from sin and dedicated to Jesus Christ. Above all, our church seeks to share the love of Jesus with a lost and dying world. If you would like to know more about what Christ’s death on the cross can mean to you, please email us.